Detection of lines in raster images is often performed using Hough transform. 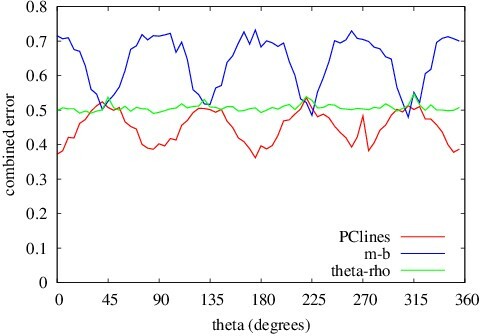 This paper presents a new parameterization of lines and a modification of the Hough transform - PClines. PClines are based on parallel coordinates, a coordinate system used mostly or solely for high-dimensional data visualization. 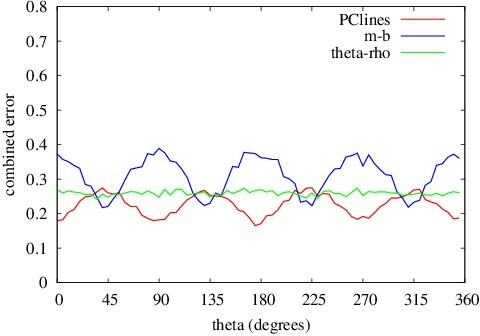 The PClines algorithm is described in the paper; its accuracy is evaluated numerically and compared to the commonly used line detectors based on the Hough transform. The results show that PClines outperform the existing approaches in terms of accuracy. Besides, PClines are computationally extremely efficient, require no floating-point operations, and can be easily accelerated by different hardware architectures.